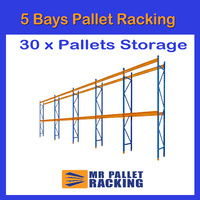 MR Pallet Racking is Australia’s established supplier of high-quality pallet racking and accessories since 2006. We supply and install all types of racking to best meet your storage needs at discount wholesale price. All our products are certified and tested to Australian Standard AS4084-2012. 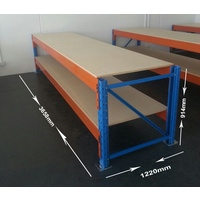 Products we supply are of superior quality, durable and perfectly suitable for small and large scale warehouses, industrial shelving, long span shelving, storage shelving, supermarket display, retail shops and garages. We are based in Melbourne and our products are installed and maintained in many well known places across Australia. Compatible with Dexion Systems and other major brands. Certified products tested to Australian Standard AS4084-2012. Guaranteed prices lower than wholesale. Products manufactured from highest quality raw materials. Browse through our largest range of pallet racking, longspan racking, warehouse shelving, pallet jacks, beams, frames, work bench, accessories and cargo trolley. We are sure here you will get the one matching your needs.